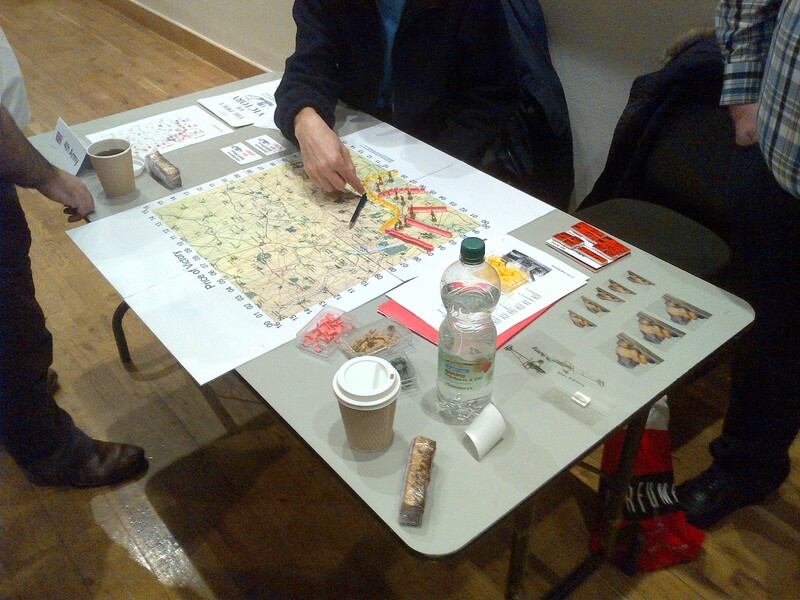 Last Saturday I, along with Brian, Chris and Evan went over to the Royal Armouries for another megagame. This time it was was designed by Dave Boundy and was based on the opening part of the Somme Battle (or is it better considered a campaign- discuss below I guess). 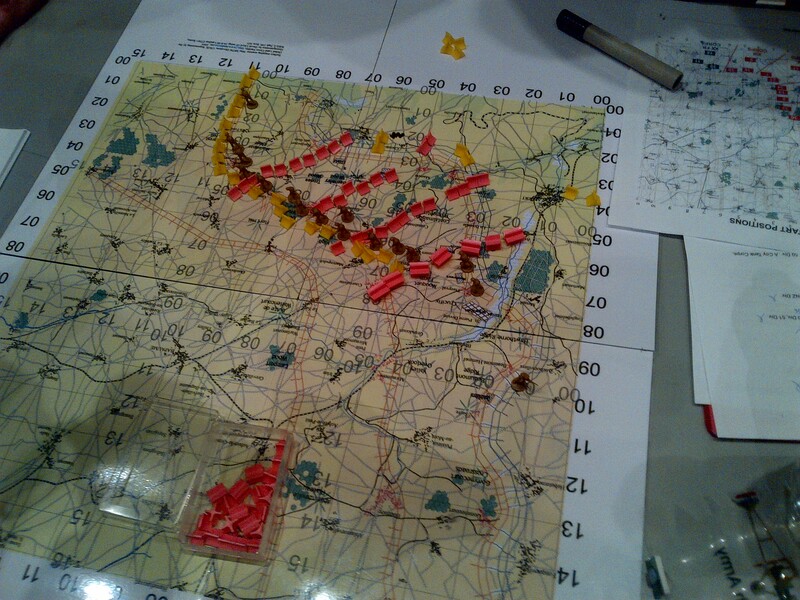 The players were split into pairs mainly commanding Corps, though 3-4 Corps were controlled by a pair of players acting at the Army level, 2 Armies for the Brits 1 for the Germans. Brian and I were in charge of III Corps, whilst Chris and Evan were further South from us. 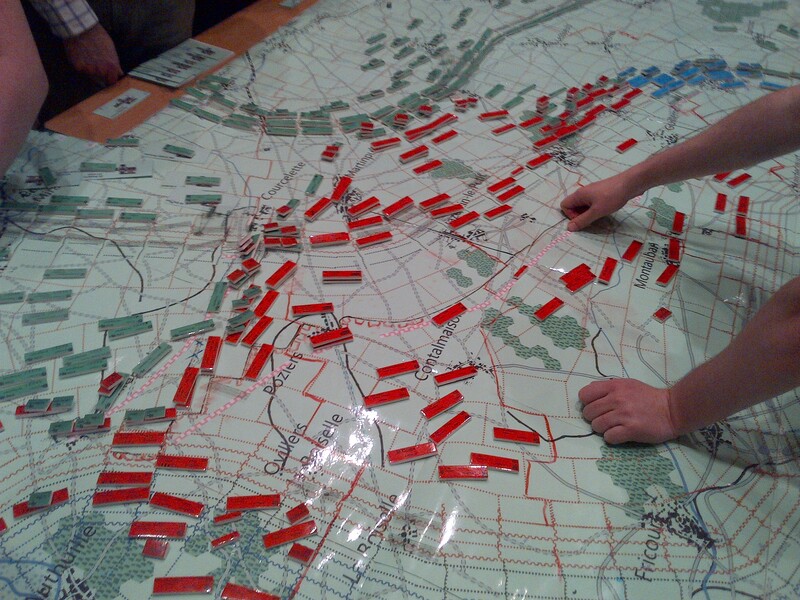 After a bit of planning , a player from each Corps went to the main map to play out the move, much like a standard board game. Pre game organization, sorting out counters and delineating Corps/Army boundries. More of the same but looking up the table, it was in a ‘L’ shape with Brian and I playing at the corner. 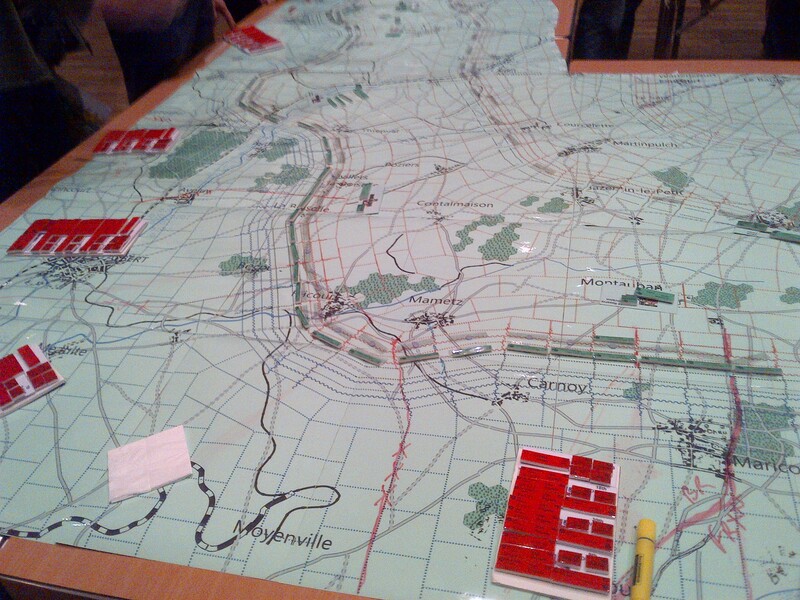 The Army commanders just had this small map to work from, they had to imaging that they were in a Chateau themselves. 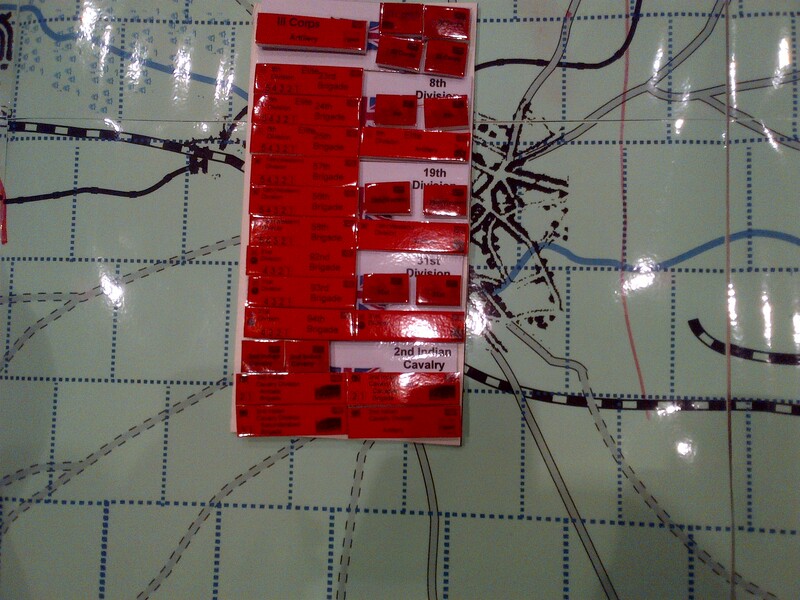 Our initial starting forces, counters were mostly Brigades, the small blocks representing artillery targets- these were reduced in number as the day went on. Over the top lads, attempting to break into the German first line. 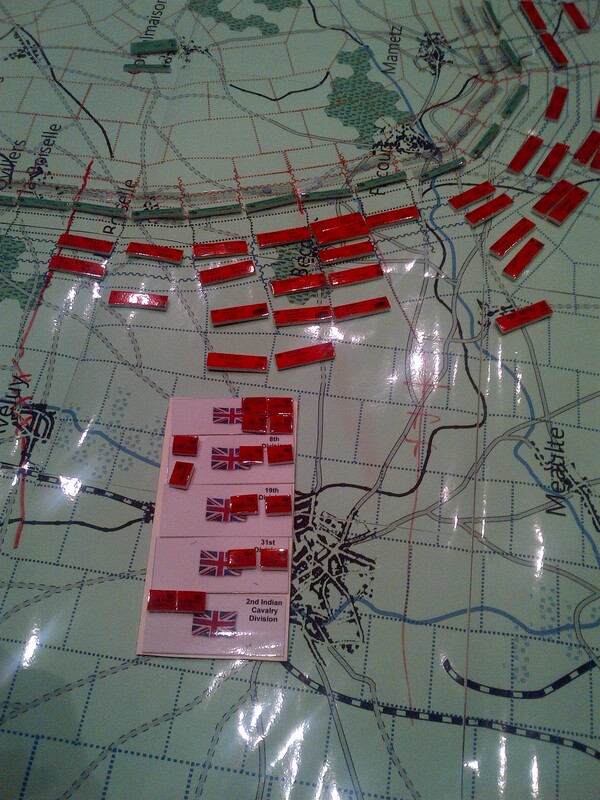 At this point in the game our Army had got through to the second line of the German’s defences but the other Army hadn’t been as successful (it had taken some very heavy casualties in the opening stages. As a result during a lull the Germans had dug an additional line of trenches conntecting the two offering up an awkward position to attavk, right on the Army boundary too (just to add to the difficulties). 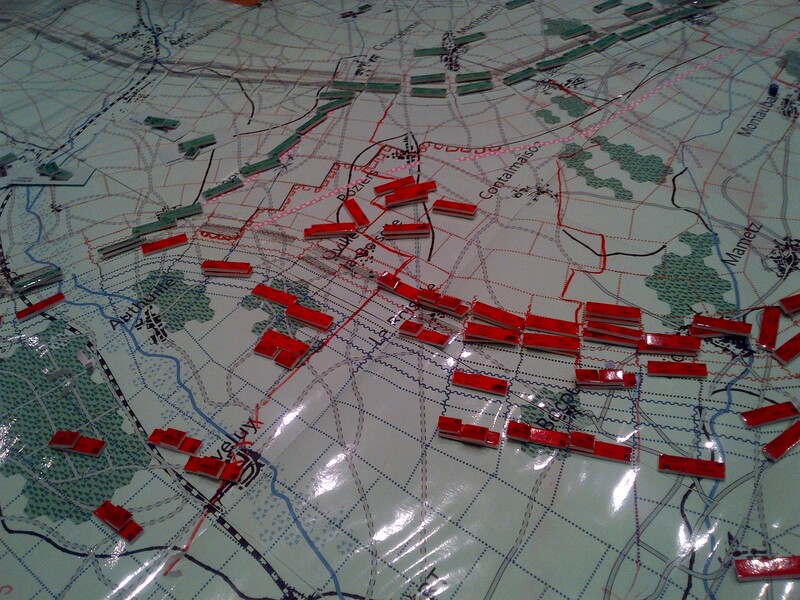 Another view of the Army map, they weren’t allowed to visit the main table but only had to rely on the reports for the various Corps. A difference in definition between the two Armies didn’t help matters much either. 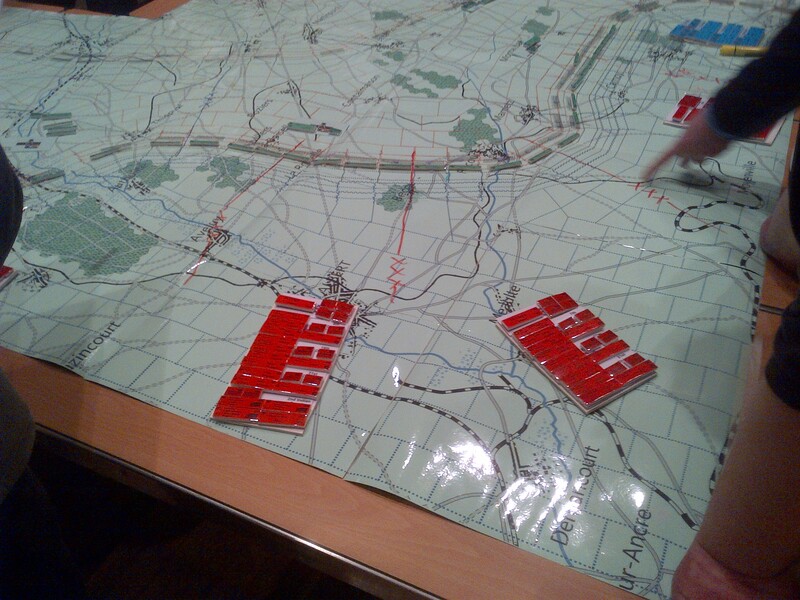 At the end of the game- just about to reach the Second (by now heavily reinforced) line of trenches. So near but so far. One thing that gave the game a WW1 flavour and made it a rather (realistically?) frustrating experience was the need to keep a continuous line linking all of the Brigade, this meant the any local success had to be abandoned for the most part and and isolated pockets couldn’t be bypassed. This meant that, in practical terms, that everyone had to do well or else we were all pushed back to where we had come from. From that you can see how different the tactics of the Stosstruppen. On a slightly critical note the planning level at Corps level seemed a bit redundant, I never did any given we were playing face to face. Still it was a good day, the gamers there are always a good crowd and it was nice to put another name to a ‘Universe’ face. Next one is in October and it is Classical Greece- I’m threatening to go in costume too. Sheds, damp and a suprising lack of nostalgia…. I was in the shed the other day and noticed that a box that was resting on the floor had got a little damp. 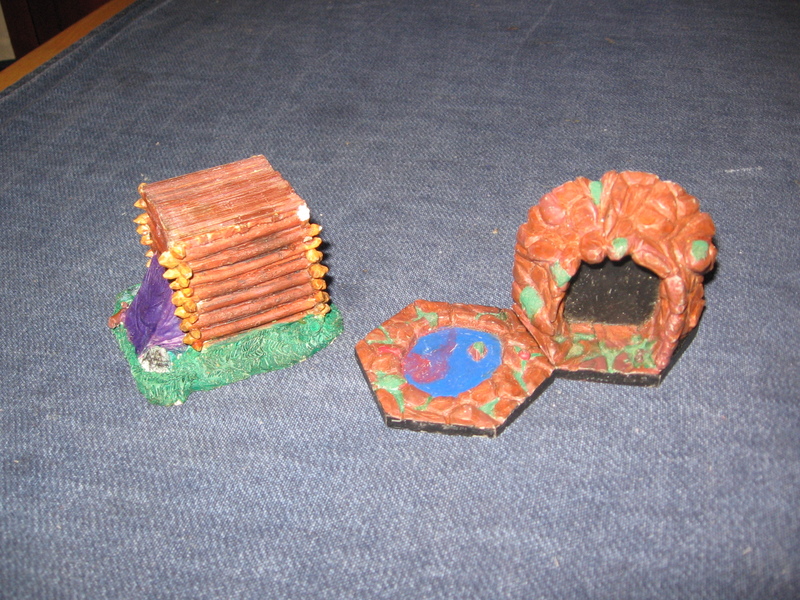 At this point I’ll point out that due to a quirk of micro geography that side of the shed where the box was stored is effectively 90cm underground, due to the shed also having a rough unsealed concrete floor I try to raise everything up but had neglected to do so with this box… It contained my old GW and Science fiction figures from the 90s. Having not looked into the box in over 10 years and not wanting to lose the contents to damp I pulled it free and took it inside for further investigation. 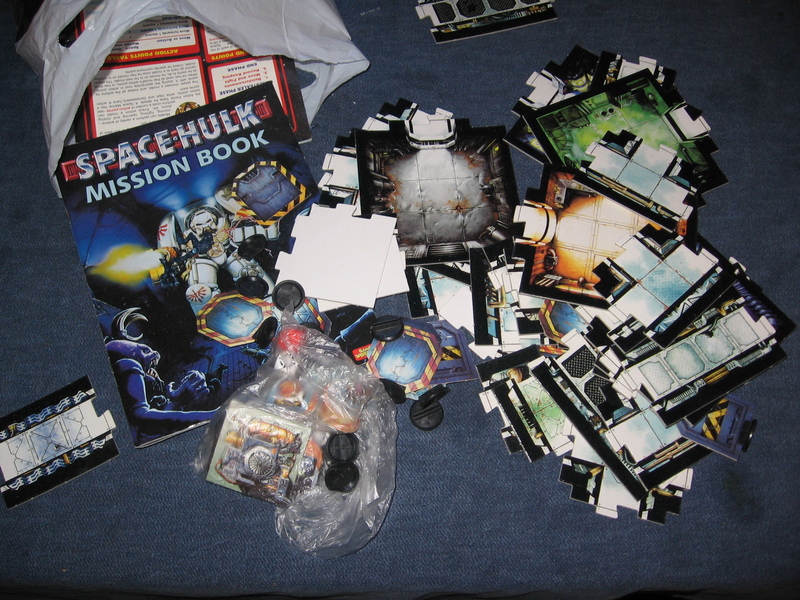 In a plastic bag was the contents, barring the figures, of a copy Space Hulk. 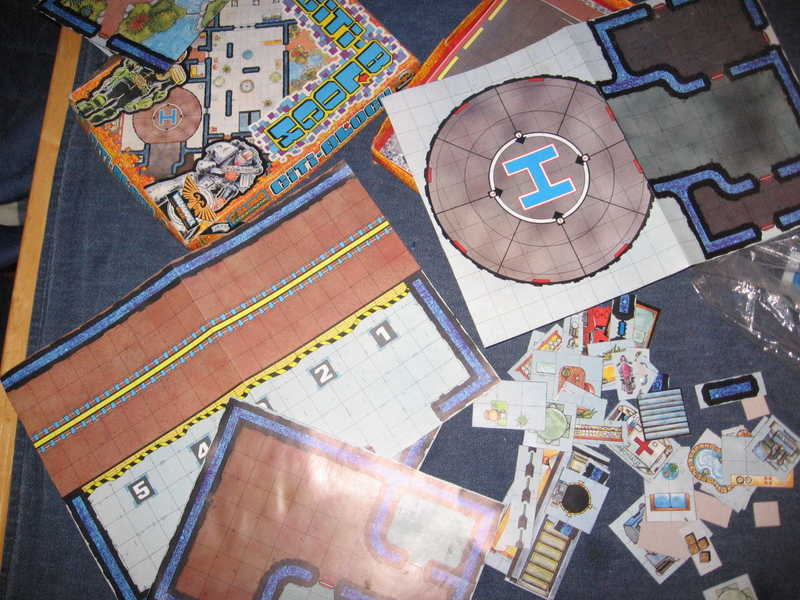 A bashed and worn but complete set of the 80s Judge Dredd floorplans. A few odd bits of resin. 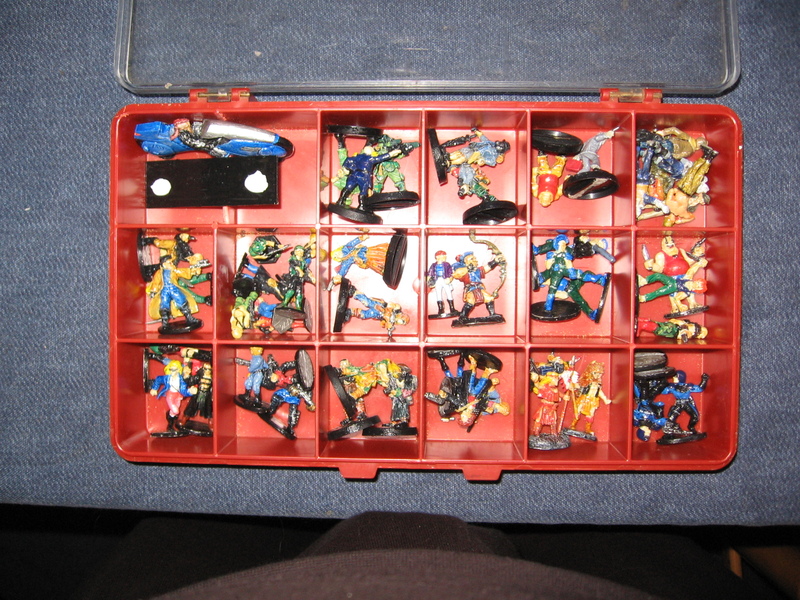 A mix box of old Cyberpunk and Post Apocalypse figures. 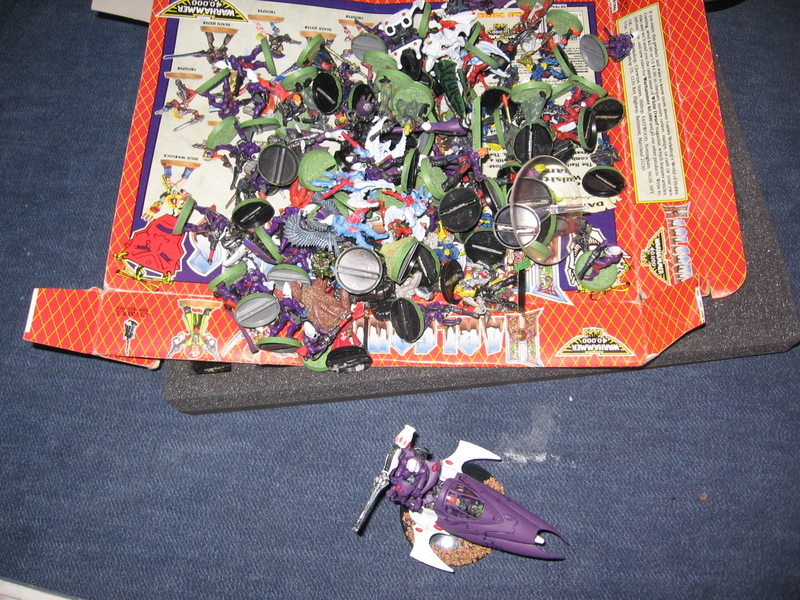 My old Eldar army and a few odds and sods. 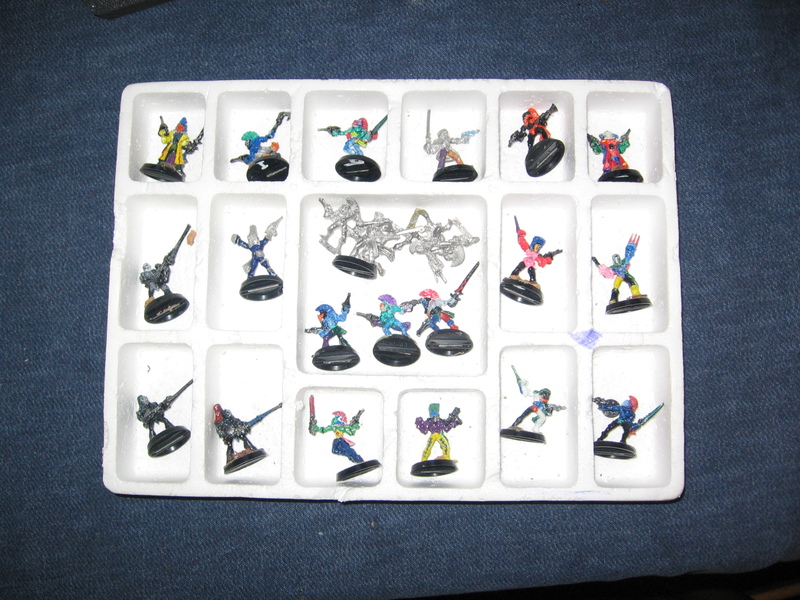 This pretty much all that is left of my formative gaming years. What was quite telling was my lack of any emotional attachment to it. I was more excited by the SF/PA figures and floor plans- I can see gaming potential there, but the army I fought through high school and college with just left me cold. 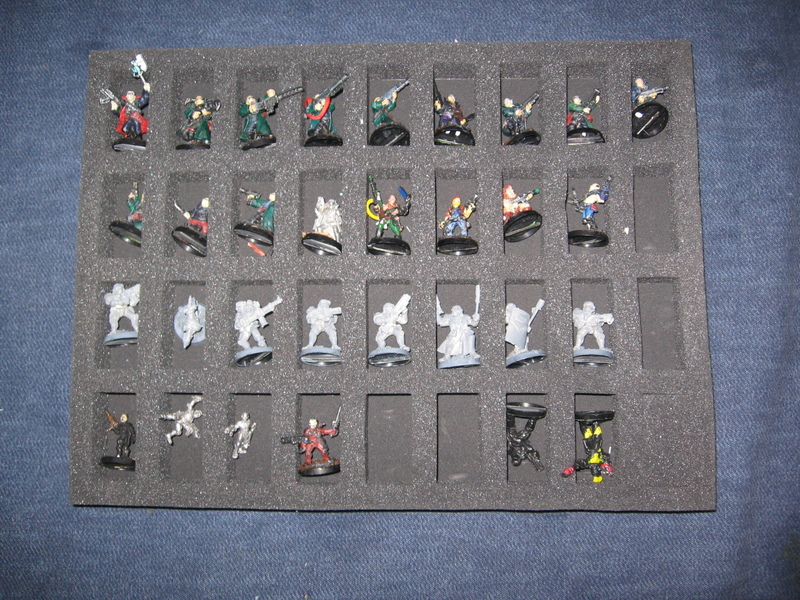 Even the Necromunda stuff I had enjoyed so much… guess it’s going to be hawked off.